Amy Gerstler, Los Angeles. Amy's most recent book of poems, Ghost Girl was published by Penguin in April 2004. Her previous books include Medicine (Penguin, 2000), Crown of Weeds (Penguin, 1997), Nerve Storm (Viking Penguin, 1993), and Bitter Angel, (North Point Press, 1990; Carnagie Mellon University Press 1997) which won a National Book Critics Circle Award. Her work has also received a California Book Award and a Durfee Artists award and has appeared in numerous magazines and anthologies. These include The New Yorker, Paris Review, American Poetry Review, several volumes of Best American Poetry, and The Norton Anthology of Postmodern American Poetry. She does a variety of kind of journalism and teaches in the Writing Seminars Program at Bennington College in Vermont and at Art Center College of Design in Pasadena, California. Brenda Hillman, East Bay/Point Reyes Peninsula, was born in Tucson, Arizona in 1951. After receiving her B.A. at Pomona College, she attended the University of Iowa, where she received her M.F.A. in 1976. She serves on the faculty of Saint Mary's College in Moraga, California, where she teaches in the undergraduate and graduate programs; she is also a member of the permanent faculties of Napa Valley Writers' Conference and of Squaw Valley Community of Writers. Her seven collections of poetry -- White Dress (1985), Fortress (1989), Death Tractates (1992), Bright Existence (1993), Loose Sugar (1997) and Cascadia (2001), Pieces of Air in the Epic (2005)-- are from Wesleyan University Press; she has also written three chapbooks, Coffee, 3 A.M. (Penumbra Press, 1982 ), Autumn Sojourn (Em Press, 1995), and The Firecage (a+bend press, 2000). Hillman has edited an edition of Emily Dickinson's poetry for Shambhala Publications, and, with Patricia Dienstfrey, has co-edited The Grand Permisson: New Writings on Poetics and Motherhood (2003). Among the awards Hillman has received are Fellowships from the National Endowment for the Arts and the Guggenheim Foundation. She resides in the San Francisco Bay Area; she is married and has a daughter. Sarah Maclay, Los Angeles Her poems, reviews and essays have appeared in Ploughshares, FIELD, Hotel Amerika, The Writer's Chronicle, Solo, Pool, ZZYZYVA, lyric and numerous other publications including Poetry International, where she serves as book review editor. New work is forthcoming in Ninth Letter and The Journal. Her debut collection, Whore, received the Tampa Review Prize for Poetry. She was also a winner of the dA Center for the Arts Poetry Prize, a finalist for the Blue Lynx Prize and a semi-finalist for the Kenyon Review Poetry Prize, the Cleveland State University Poetry Prize and the Tupelo Press First Book Prize. She's been nominated for a Pushcart. The author of three chapbooks, she has degrees from Oberlin College and Vermont College, and has most recently been teaching in Los Angeles at LMU, USC and FIDM, as well as conducting workshops both privately and, periodically, at Beyond Baroque. Jane Mead, Napa, is the author of The Lord and the General Din of the World, (Sarabande Books,1996) and House of Poured-Out Waters (University of Illinois, 2001). The recipient of a Whiting Writers Award, a Completion Grant from the Lannan Foundation, and a Guggenheim Fellowship, she publishes regularly in magazines and anthologies. For many years she was Poet-in-Residence at Wake Forest University. She now teaches in The Iowa Summer Writing Festival, and manages a ranch in Northern California. Marc David Pinate, Berkeley is a poet, playwright, actor, organizer, and activist currently residing in Berkeley, California. Originally from Arizona, he received his BA in Communications from Santa Clara University in 1994. Pinate also holds an MA in Theater Arts from San Jose State University. Along with teaching drama classes part time at SJSU, he is the Program Manager at Galer�a De La Raza, in San Francisco. Pinate is the co-founder and front man-poet of Grito Serpentino, a spoken word and music ensemble. In 1999 Pinate was a member of the San Jose Slam Team which took first place at the National Slam Championships in Chicago and which earned him an appearance on CBS's "60 Minutes.� The same year Pinate founded Los Del Pueblo Actors' Lab, a grass roots NeoChican@ theater company which has mounted several plays written by Pinate including The Mex-Files, The Tale of Johnny Hispanic, Amor Rabioso, The Lunatic and The Journey of Isis. Pinate's poetry, plays and short stories have been published in The Santa Clara Review, Razateca, Comfusion, Calaca Review, Zyzzyva and StreetLow Magazine. With his group, Grito Serpentino, Pinate has recorded and released two spoken word CDs: Grito Sepentino (1999), and Para La Gente (2001). Most Recently, Pinate began performing with the Chicano spoken word troupe, Chicano Messengers of Spoken Word. Pinate's achievements have been recognized and awarded by the California Arts Council and Arts Council Silicon Valley. Gary Soto -- poet, playwright, fiction writer, children's author -- grew up in Fresno and currently lives in Berkeley. His many honors include the Discovery-The Nation Prize, fellowships from the National Endowment for the Arts [twice], and the Guggenheim Foundation, among others. He is the author of ten poetry collections for adults, most notably New and Selected Poems, a 1995 finalist for both the Los Angeles Times Award and the National Book Award. His most recent collection is World's Apart: Traveling with Fernie and Me (G.P. Putnam's Sons, 2005). His recollections Living up the Street received a Before Columbus Foundation 1985 American Book Award. His poems have appeared in many literary magazines, most frequently Poetry, which honored him with the Bess Hokin Prize and the Levinson Award. He is one of the youngest poets to appear in The Norton Anthology of Modern Poetry. In 1999 he received the Literature Award from the Hispanic Heritage Foundation, the Author-Illustrator Civil Rights Award from the National Education Association, and the PEN Center West Book Award for Petty Crimes. He serves as Young People's Ambassador for the California Rural Legal Assistance (CRLA) and the United Farm Workers of America (UFW). Brian Turner, Fresno earned an MFA from the University of Oregon before serving for seven years in the US Army. He was an infantry team leader for a year in Iraq with the 3rd Stryker Brigade Combat Team, 2nd Infantry Division. Prior to that, he deployed to Bosnia-Herzegovina with the 10th Mountain Division (1999-2000). His book of poetry based on these experiences (Here, Bullet) was the 2005 Beatrice Hawley Award winner for Alice James Books. His poetry has been published in Poetry Daily, The Georgia Review, American War Poems: An Anthology, and in the Voices in Wartime Anthology published in conjunction with the feature-length documentary film of the same name. He currently lives in California. 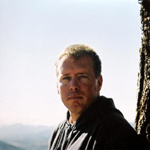 Al Young, current California Poet Laureate, lives in Berkeley. He is a multi-faceted writer whose honors include Wallace Stegner, Guggenheim, Fulbright, National Endowment for the Arts Fellowships, the PEN-Library of Congress Award for Short Fiction, the PEN-USA Award for Non-Fiction, two American Book Awards, the Pushcart Prize, and two New York Times Notable Book of the year citations. Young's many books include novels, collections of poetry, essays, memoirs and anthologies. His most recent book of poetry is The Sound of Dreams Remembered: Poems 1990-2000.
teen poetry team MACLA, San Jose MACLA's Youth Slam Team is a talented group of South Bay poets from area high schools who have developed their creativity, critical thinking, writing and public speaking skills through workshops and spoken word performances. The team is a nontraditional approach for youth to become engaged in their world by taking pencil to heart and proudly shouting it out. MACLA presents the voices of a new generation, and the voices of our future leaders. Yuki Teikei Haiku Society Team, San Jose The Yukei Teikei Haiku Society was founded in 1975 in San Jose, California. Its purpose was to foster and encourage the art of writing haiku in English following the traditional guidelines developed in Japan. Yukei Teikei members meet monthly to study and write haiku. The Society publishes a bi-monthly work-study journal, Geppo, and has an annual retreat at Asilomar on the Monterey Penninsula.